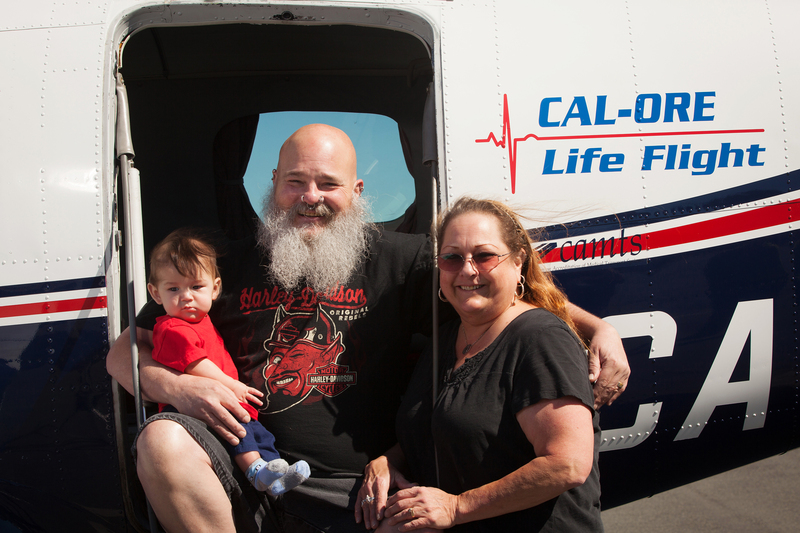 I never imagined that I’d be using this service,” says John Briner of his Cal-Ore Life Flight Membership. John and his wife Debi live in Gasquet, a tiny town in the northwestern corner of California. Just before Christmas, John had heart surgery. Although the surgery went as planned, he was advised that he might need defibrillation—“the paddles”—down the road. Defibrillation is used to restore normal heart rhythm in patients who go into A-fib, a common heart rhythm disorder. 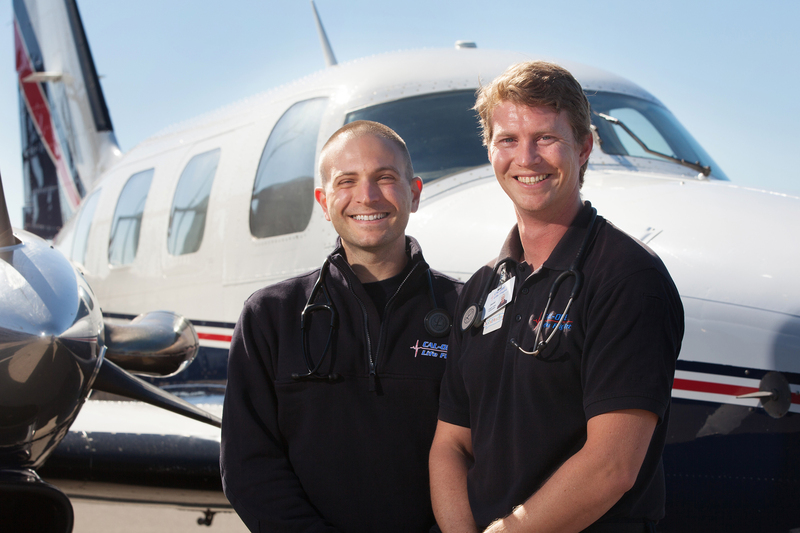 Cal-Ore Life Flight Paramedics Marcus Tessler (left) and Daniel Johnson (right) provide life-saving service for their community. It was a breath of fresh air when Cal-Ore showed up to fly me away. John is happy to be back with Debi, his wife of 30 years, and grandson Jacob. Cal-Ore is privileged to have been a part of John’s success story and wishes the Briner family many happy adventures.